Breathe. Seems pretty basic, right? But you will be surprised how those autonomic functions seem to stop working when confronted with stress or anxiety. The brain needs oxygen to think. Your organs need oxygen to function properly. So breathe! Take it in and let it fill your body. Deep breathing has been scientifically proven to; detoxify your body (release toxins), releases tension, relax mind/body, relieve emotional problems and pain, massage your organs, strengthen the immune system, improve posture, increase digestion, and strengthen your lungs and heart. The Hindus believe we all have a limited number of breaths. Therefore, deep breathing is seen as necessary for the extension of life. Be competent. Whatever you do, be a master of it. I chose to specifically focus on family law. By knowing every aspect of my vocation, I am confident and do not get anxious about work issues. It took several years to learn my trade well enough to the point I could teach it to someone. By putting that effort in early, I have eliminated many uncertainties that would have caused additional anxiety. Whatever it is you do, do it well. Eat / Sleep / Exercise: Your body is a machine. It requires proper fuel and rest. It also requires regular exercise. Neglect your physical health and your body and mind will not adjust well to the unexpected curve-balls life has in store for each of us. Be patient. We are human. We all have our personal struggles. We do not know all of the struggles of those whose paths we cross. Allow yourself to be patient with others (and don’t forget to breathe). Let go. Most of us have baggage. Why would you let your life be defined by a negative event? There are things that are within your control and things that are not in your control. Logic dictates you can change those things within your control, but you cannot change those things outside of your control. If that is the case, then why would you allow those things outside of your control to cause you to suffer? If you let go of a hot rock, the burning will stop and you can heal. It requires a conscious decision to let go. Eliminate Toleration. Energy level is a major factor in our quality of life. Your energy level is being drained by things in your life that you are tolerating. When we stop putting up with small annoyances in our daily life, we create room for things that make us feel good. A toleration can be as simple as a missing button on your shirt or as complicated as having an unfulfilling workplace. In any event, make a list of things (identify) that annoy you, and make an active effort to eliminate those things. Cross them off your list as you go. Do Something That Matters. I think everyone will agree that by having a more productive, functional society we have to leave this world in better condition than we found it. We have to make a commitment to make a difference. As we do, we are leading by example. If this is done in an enthusiastic, appropriate manner you will find it to be contagious and others around you will become infected, and thus the cycle continues. If everyone in the world put effort into a selfless act, well… this would certainly be a better place. It is unrealistic to think that everyone will take this extra step. However, if you did, that would be one person. If you do so enthusiastically, you might influence others to do the same. Having a cause or hobby will add necessary balance especially when things get hectic at work. These are a few tips that have helped maintain my sanity. I hope you find them helpful. Eddie Stephens is a partner in Ward Damon located in West Palm Beach, FL. Mr. Stephens was admitted to the Florida Bar in 1997 and is Board Certified in Family and Marital Law. 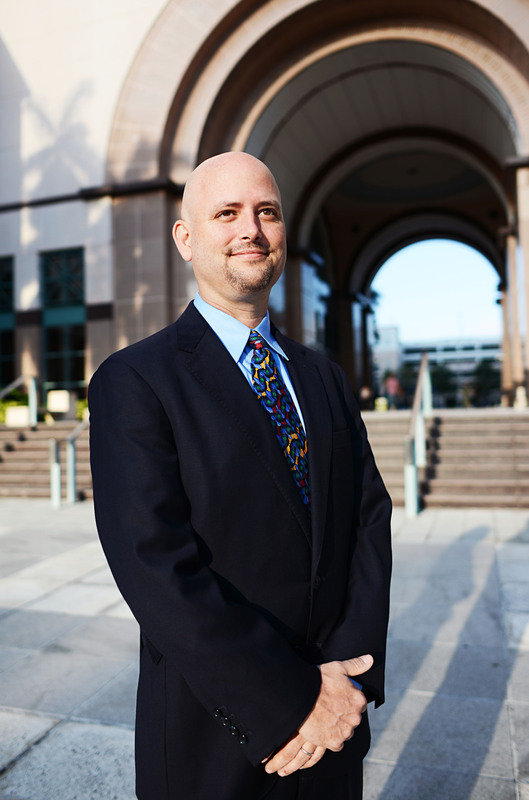 After starting his career as an attorney for the Palm Beach County Property Appraiser’s Office, Stephens has developed a successful family law practice focused on highly disputed divorces. Through hundreds of hearings and dozens of trials, Stephens has honed his practice by making straightforward arguments that bring opposing sides closer together in order to find a successful resolution.